I ADORE the store Aritzia. It's my favorite store in the universe, and nothing made me happier than the day they started selling their items online. 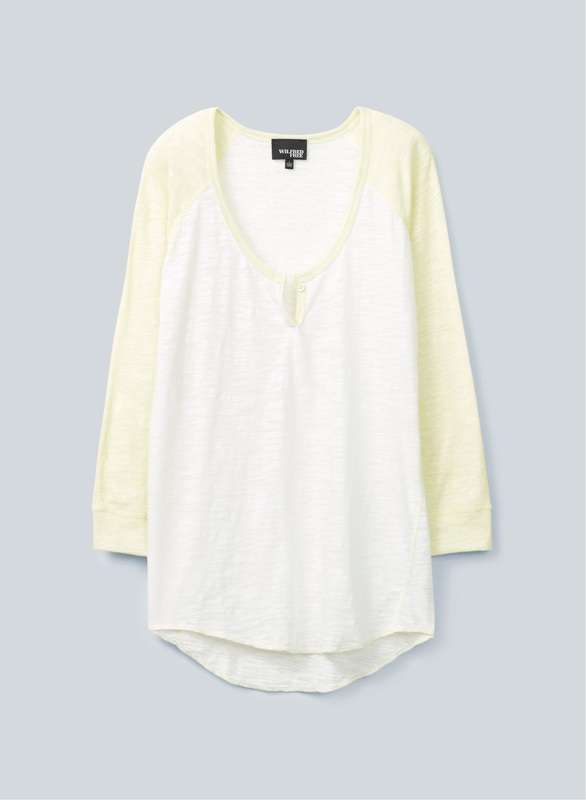 This drapey baseball style tee from Wilfred retails for $50 and comes in several colors. 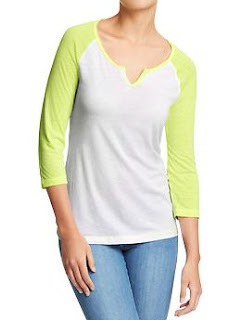 If you like the look but want to save yourself a little cash, Old Navy has a similar (a bit more neon yellow) baseball style raglan top. This version is currently on sale for $7.00 and it also comes in a few other colors. Click HERE to view or purchase.